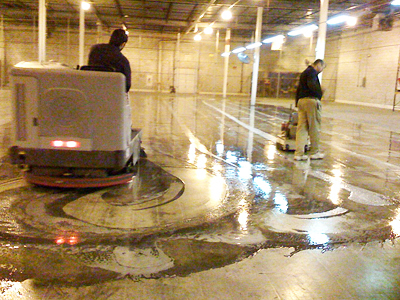 Warehouse Janitorial Cleaning Why You Need Help - American Cleaning Services. Inc. When you have a warehouse, it is an environment that is full of trash, packages, refuse, and many industrial items. You need to have the assistance of a warehouse janitorial cleaning partner to assist you with the process of ensuring that you are able to have a healthy and safe environment for your staff and for the merchandise. Here are the top 5 reasons; you want the assistance of a warehouse janitorial cleaning partner. When it comes to working with a warehouse janitorial cleaning partner, they will make sure that your environment is clean and free of debris. What that means is that you will have a safer environment that will keep you free from any issues that are related to tripping and falling or having problems with a dangerous environment. When you are working in a warehouse, there are always many things around that are very dangerous if you are not careful and that means that you have to watch where you walk and have an environment that is free of trash and other issues. When you are in an industrial environment, often it is easy to overlook the cleanliness and think instead about all of the work that you are trying to get done. However, it is this lack of attention to detail that leads to many accidents and dangerous environments for all of the workers in the warehouse. When there is a properly cleaned environment, the effect is immediate and dramatic as it is possible to make sure that all of the parties are happy and healthy and that they are able to have access to a clean environment that is free of debris. When you have a warehouse janitorial cleaning partner, you will be assured of an environment that all workers will be happy to work in and will be confident that they are happy and safe and that there is positive change that is happening in their environment. When there is a stable environment there will be happier and healthier workers there with you. When there is a clean environment the number of accidents decrease dramatically which will ensure that people will be able to work safer and productivity will increase. When you are running an industrial operation, there is not enough time to keep worrying about the cleanliness of the environment and that is why it is important to have a long term partner who will be able to assist you with this process and ensure that you are able to have a clean environment for all who are working. Cleanliness is not an option; it is something that must be there to ensure that your workers are happy and healthy and that there is always a safe and clean place to work. You will be amazed at how much employee productivity as well as morale will increase when people see the consistency in the environment and the new way that they are able to work.